The Indian gaming market has been on an upward trajectory over the last few years, especially with the boom of mobile gaming. Almost everyone today has access to a mobile phone, and even a casual gamer can easily jump into one of the many games available. With Android being the leading mobile platform in the country, the Google Play Store is where most Indians find their apps and games. 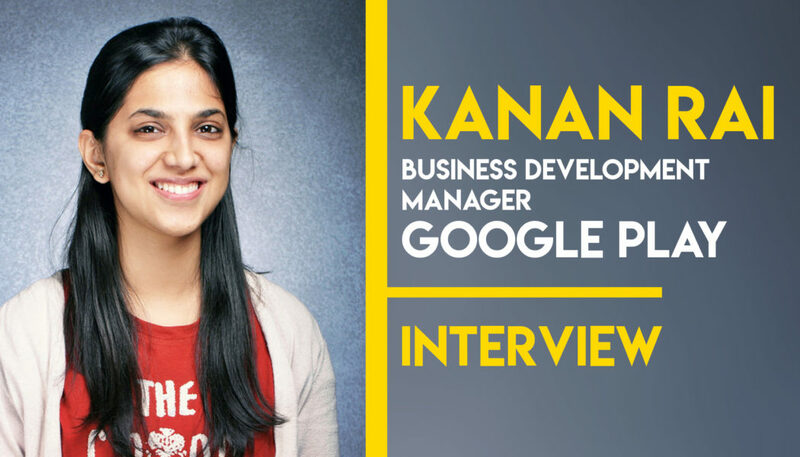 We had a chance to interview Kanan Rai, Business Development Manager at Google Play, and get some insights on how the marketplace works, her role in developing Google Play, and her thoughts on the latest trends and where it’s headed next. Tell us a bit about yourself and your journey in the industry so far. I am a literature student by education, and joined Google way back in 2008. Google was an awe-inspiring company innovating at a remarkable pace and I was lucky enough to be a part of a very talented organization. I’ve spent the past 10 years at different roles at Google from digital advertising to product policy to monetization and business development, with a simple vision to empower users and grow developers in the internet ecosystem in India. I have been working with startups, large internet companies in India to help them innovate & build sustainable solutions for users. I’ve also had the opportunity to travel extensively, learning about markets like the US, South Korea, Japan, South East Asia, etc. to help some of the top companies there grow their understanding of the Indian landscape. ● With your experience in the industry, what drew you to the games and apps market? For me it was not only a choice of working in the apps and games space, but the choice of working in the app and game space in India because of the incredible pace of growth and innovation. Some of the most valuable interactions in the last 10 years has been with startups. There are several inspiring stories of entrepreneurs working to solve real problems in India. From preventive health-care for diabetes; to AI based tutoring advice for exasperatingly difficult practice exam questions; to a one member team building a million dollar game. It’s amazing to not only witness but actively participate in and bring change to this ecosystem that will shape the future. It’s a great time to be in this space given that all eyes and ears are on the Indian app ecosystem right now. ● Indian is one of the largest emerging smartphone markets in the world. How has it evolved in the last few years? What are some of the major factors that has impacted the market? India’s internet evolution has been unique in many ways. While most of the world moved from PCs to laptops to mobile phones to smartphones, India leapfrogged from PCs to smartphones, and in many cases the smartphone is a user’s first interaction with the internet. With about 330 million smartphones and over 400 million internet users, India is now the #2 smartphone market in the world after China. Last year India became the most engaged Android country in the world with over a BILLION downloads a month! But it’s also important to consider that only about 20% of the population is using smartphones: so the opportunity for growth is still substantial. That said there were and continue to be many challenges in the ecosystem. Most devices were under $100 with limited storage, battery and an internet connection that was practically unaffordable. Jio addressed the last problem to some extent when data costs were slashed across carriers and many users now have the standard 1.5GB a day. They no longer ration their data and don’t mind paying the extra buck to stream an HD film or play a graphic intensive game. People have upgraded from the 512MB RAM and over 97% users have devices with over 1GB RAM and 99% are 4G capable. 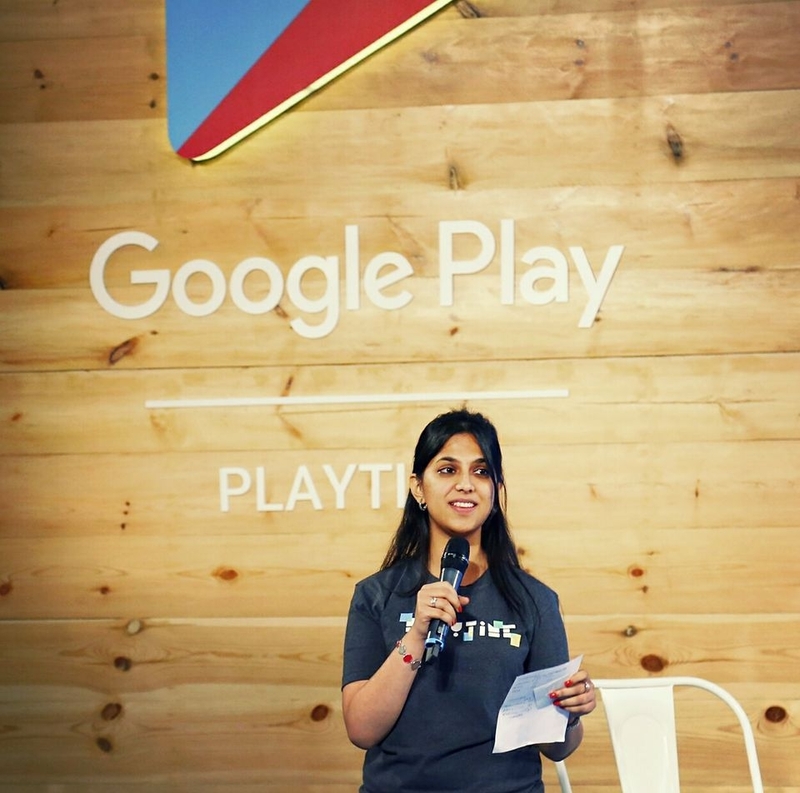 People are increasingly getting comfortable transacting online be it In-app-purchases in games or online subscriptions and we have seen a 3X increase in consumer spend on Google Play in India. As a result of all this growth, many international players have turned to India and are increasingly investing in the market as they see immense opportunity: these are very encouraging signs for the ecosystem. 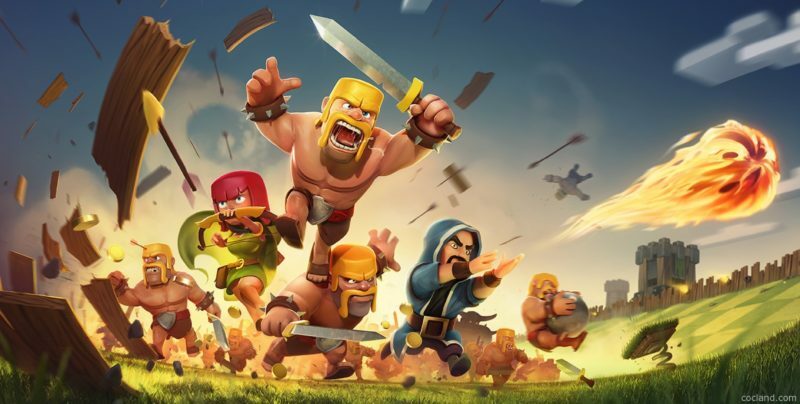 ● What are you thoughts on the current Mobile Gaming market, especially in India. What do you think works and what doesn’t work? The gaming ecosystem in India is still nascent. We haven’t necessarily had a digital gaming culture in India. Only a privileged few grew up with console games at home, and for most, a smartphone is not only the first time they access the internet, but also the first time they play an online game. If you look at the top charts you’ll see international games like Candy Crush and Subway Surfer dominating the list, but we have seen a couple of breakaway successes from India like Ludo and Teen Patti. Many local developers are now building games with Indian themes be it strategy games or the umpteen Bollywood games or the super casual titles targeting women like match 3 and simulation. This was not the case even 3 years ago and it’s heartening to see increasing investment from both local and international developers. There is also an upswing in terms of the number of mobile gamers in India, even if they don’t identify themselves as that. What I mean is that a person who spends 2-3 hours a day playing games on his or her smartphone is unlikely to call themselves a gamer, as they associate the core to mid-core gamers, players who invest in MMO games as the real “gamers”. We’ve been working with other members of the game industry to address these questions of game engagement, improving quality of games, supporting independent game developers, monetization opportunity, localization, device compatibility, distribution and many others. Just from the top of my head, some of our most recent initiatives include the Indie Games Academy which will help identify and nurture game developers with potential, we have introduced many new forms of payments like recharge codes, net banking, DCB for Idea, Airtel and Vodafone, debit cards, etc. We have even worked on a program called Building for Billions that helps apps and game developers build for low end devices based on our findings from developing markets. 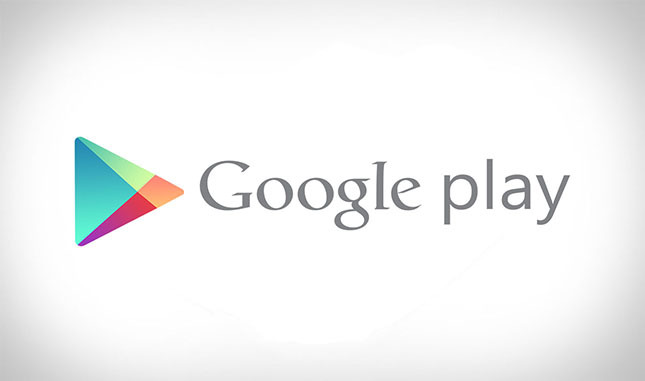 ● You have been part of the Google Play (Apps & Games) and Android related efforts for India for over three years now. Is there any app or game or an experience that stands out in memory? That’s a really tough one. I end up looking at several apps and games in a single day and engage deeply with the creators of high potential apps. The great thing is that we don’t necessarily limit ourselves to a certain category of developers. As long as we see potential, we are happy to offer them support and work closely with them. It’s a constant learning experience for me as well because something that might seem spectacularly groundbreaking might not work in the market but a simple game or app solution might get a million downloads in a month. While I’ve been on Google Play for over 3 years, and I’ve been in the apps & games space for about 7 years. One standout experience that comes to mind was when I was leading the Admob business and we wanted to encourage students to think about solving problems or creating an impact through apps and games. We launched the AdMob Student App Challenge globally and the enthusiasm of students in India was just incredible! About 65% of all global entries came from India and we had students from all over the country volunteering to help us host bootcamps and support students build apps and games. In just three months, we were able to host 37 events in 31 cities across India, reaching ~ 3,000 students. And this was primarily led by Google Student Ambassadors and Developer Groups. ● Do you have any thoughts on the current rise of Battle Royale games and their immense popularity? 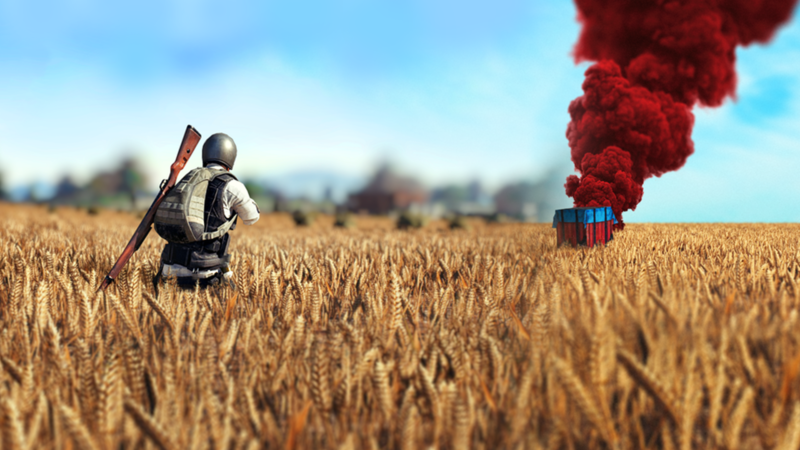 Apart from PUBG there are a couple of battle royale games users are excited about and that’s great for the gaming ecosystem as many of them are first time gamers. These trends also tells us that there is a large user base looking to play online games but are not being served. So there is definitely the opportunity to build a stronger gaming catalogue in India, and there are many game companies who are working to capitalize on this. ● There’s been a trend of copycats/clones in the Play Store, especially around apps/games that attain some form of critical mass. Does Google see that as a problem, or is it all fair game? 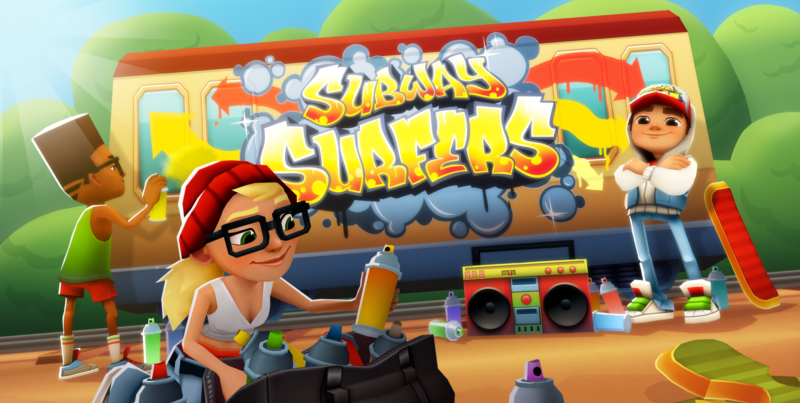 We try and encourage developers to think out of the box and think of new game ideas that have not been tried before: the need of the hour is to build a stronger catalogue rather than create copies of the games and apps that already exist. Though we have seen several games in the same category doing well: it could be a similar game with a twist or a very localized version of an existing title. So I guess as long as the title is innovative and adding value instead of being an outright imitation, it’s ok. In case of the later, we allow users and developers to report any apps that violate our copyright policy and have a team that investigates each case carefully before taking a decision on the same. We work on a case by case basis. Google Play is an open platform that allows game developers of all skills and sizes to publish and build a business on the Android platform. We try and give everyone an equal opportunity but have to balance that with what is best for the user. This means ensuring the right policies are enforced, and that the most relevant content surfaces when a user searches online. ● What games did you enjoy playing this year? Clash of the Clans is something I’ve been playing since a while now. Other than that I enjoyed Alto’s Odyssey published by Noodlecake Studio and the new chapter in Agent A by Yak & Co. I also recently started playing Monument valley 2: it’s one of the titles we featured in our “Games heroing women” collection on Google Play. ● Any advice for budding developers in India? Don’t hesitate to experiment, think more deeply about in-game mechanics and monetization and put the user first. It’s important to think about game progression, how much content you’re launching the game with and what the user will see as valuable enough to pay for. Finally ensure you beta test the app/game before you launch and that you launch a bug free, stable build. We have free tools supporting almost all of this features in the Play console. While building apps, make sure it’s fast and easy for users to find the information they are looking for. A simple UI is the best way to go. Think of how to add maximum value to the user without them spending too much time on the app: This will get them to keep coming back to your app and potentially also recommend it in their social circles. If you’re going after scale, emerging markets is a big opportunity. Optimize for low end smartphones and new internet users. Think about factors like speed, memory usage, apk size, and bake in features with entry level users in mind. While many users uninstall apps that eat up too much space, 50% of one star ratings on the Play store are due to an unstable app or game. Consider making the app or game offline, and use tools like Proguard and consider using WebP images instead of PNG or JPEG. You can read more about these best practices by looking up the Building for Billions developer page. Thanks Ms. Rai for your thoughts and insights. The growth of the Indian Mobile Apps & Games market has been really interesting to watch, and we look forward to seeing it where it goes next. For more latest news, reviews and interviews, stay tuned to Gaming Central.